Late this fall I had the opportunity to speak with Dr. Laurent Chiche about drug development in Europe. 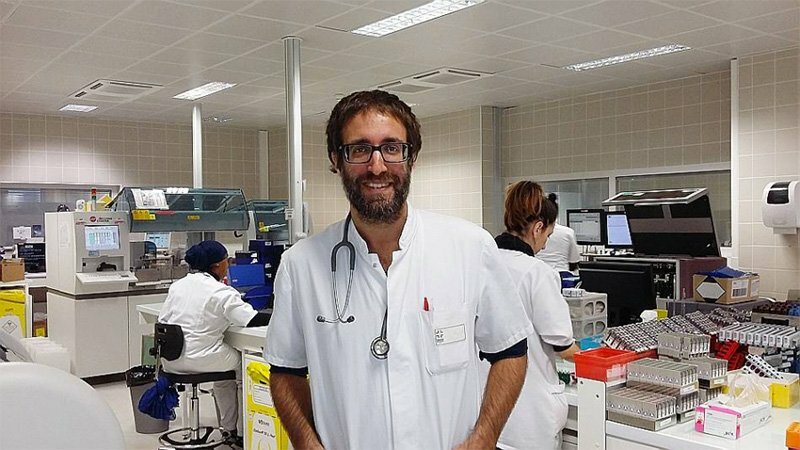 Dr. Laurent Chiche is a well-known physician and researcher at the Hôpital Européen Marseille, where he focuses on immunology and rare diseases such as Lupus. In our first conversation we focused on the physicians’ experiences with using and getting regulatory approval for unregistered treatments. In the second half of our conversation we discuss Dr. Chiche’s current research, his hope for the future of rare disease treatments, and the role of patient associations in France. Lisa Rebert: I read that you have undertaken something called the Lupus Living Lab, which aims to take research out of the lab and bring all those technologies to the patient. Can you tell me more about this and how it colors your stance on using new treatments and technology with patients? Dr. Laurent Chiche: The idea is very simple. In our Lupus studies, for example, we know that some group of patients will respond to the drug, but the statistics won’t be significant (and thus an approval would fail). Yet we would like to objectively document the response of patients when you identify something like a modification in response to diet or a new drug. Ultimately this could help to explain why some treatments work in some patients. When we try new drugs, for safety reasons, we see patients every week or every two weeks, but in-between we don’t have much insight into what’s happening. Hence the Living Lab is here to help follow the patients throughout the entire process — even between visits to the physician or specialist. For Lupus, we have developed a connected device (i.e., to measure UV exposure), a patient platform to measure quality of life things, and some home technologies (i.e., a finger prick device to draw blood) to detect molecular and microbiome modifications. This could be expanded to other immunological and rare diseases, but really any disease could be a good target for this kind of approach. We do this already in research, but we think that it could be interesting to try this in a clinical trial to help measure efficacy. Lisa: What other projects are you current working on? Dr. Chiche: Currently we are trying to improve the management of side effects from new, innovative cancer drugs. A lot of patients at our center and others are receiving new therapies for cancer and the side effect of these new treatments — that will likely replace a lot of chemotherapy — will be autoimmune diseases. It’s a paradox, but all these rare diseases we see infrequently are going to be more common as side effects of these new cancer drugs. So we’re trying to improve the management and screening of patients in this regard and improve the knowledge of oncologists who know little about autoimmune diseases. Lisa: Shifting topics slightly, I’d like to now discuss the role of patients and related disease advocacy groups. Given the role these groups played in the eventual approval of Sarepta’s drug for DMD in the US, how would you characterize the role of patient associations in France? Dr. Chiche: When it comes to patient associations in France, they are not as well-organized as those in the United States. Plus, in France we don’t have a strong culture of lobbying in any field. While some associations are becoming more active, I think in France most of the associations depend on working with a group of physicians. In other words, patients don’t act alone. Most of the time, within the patient associations there will be a scientific council with key academic persons from the field to help determine what research to fund. But I have to admit that this is not my field of expertise given that I have no direct experience working with a patient association in negotiations to access an off-label drug. More generally, I think the field faces this issue of new drugs not getting approved because patients have higher expectations than can often be delivered upon. Why? Because patients are looking to what’s happening in the US and China and they are starting to ask us for any possibility. Sometimes they can even obtain drugs available elsewhere via the internet. For me, the problem is that the medical system won’t go for that. So people will use such medications by themselves without any coaching or medical advice — which is unsafe. Therefore, a solution could be that some rare disease centers should have special permission or exceptions to help obtain data to provide scientific evidence. Lisa: Given what you’ve described above, what kind of additional support could rare disease physicians and doctors like you use? Dr. Chiche: With cancer, you have Stage 1 very early trials for very specific drugs for patients that have no other alternatives. So in cancer it is considered more understandable or suitable to act with exceptions. And yet with other rare conditions patients may have the same quality of life as with cancer. For specific rare disease patients, I think we should be able to give them the possibility to test a medicine, but with medical control. Furthermore, I think physicians and researchers need access to an updated list of condition-specific protocols and ongoing trials so as to be able to orient patients that have no further standard therapeutic alternatives. Right now, current tools simply aren’t user-friendly enough. Lisa: And what do you think is the most promising aspect of European new medicine development for rare diseases? Dr. Chiche: For rare diseases, I think it is CRISPR technologies — the use of ‘molecular scissors’ to edit the genome. And it’s starting to be used in the clinic. Last week, a patient in China received immune cells that were modified using this technique in-vitro and then injected back into their body. And so basically, they are trying to program the cells of the patient to do the same job as drugs used to do. But you can imagine that you will be able to cure a lot of genetic diseases with this approach. I think these kinds of gene editing technologies will revolutionize the treatment of rare diseases. If you combine that with the possibility to screen for a lot of mutations, that will be a very important revolution from the perspective of the patient. So we need to take more DNA sequences from European people so that we can have quality comparison points. Generally speaking, we need more genetic data and more genetic screening. This is part two of a two-part interview series with Dr. Laurent Chiche. In this segment, we’ve discussed what new technologies in medicine — from real-time tracking to gene-editing — mean for the future of rare diseases, specifically through the lens of Dr. Laurent Chiche’s current research. Read more from Dr. Chiche’s first interview.